Hi everyone! It's been a super busy August at my house. My kids went back to school on the 4th and all their activities started pretty much right away. And I work at a University and classes there started back this past Monday. I think I worked about 48 hours over this past week and I am very glad it's over. I am so glad I made time to make a card for the SVG Cutting Files monthly challenge though. They have a Groot and Rocket (from Guardians of the Galaxy) file for entering and I needed them--LOL! The challenge is to make anything with fall colors and be sure to use their files as the main focus. 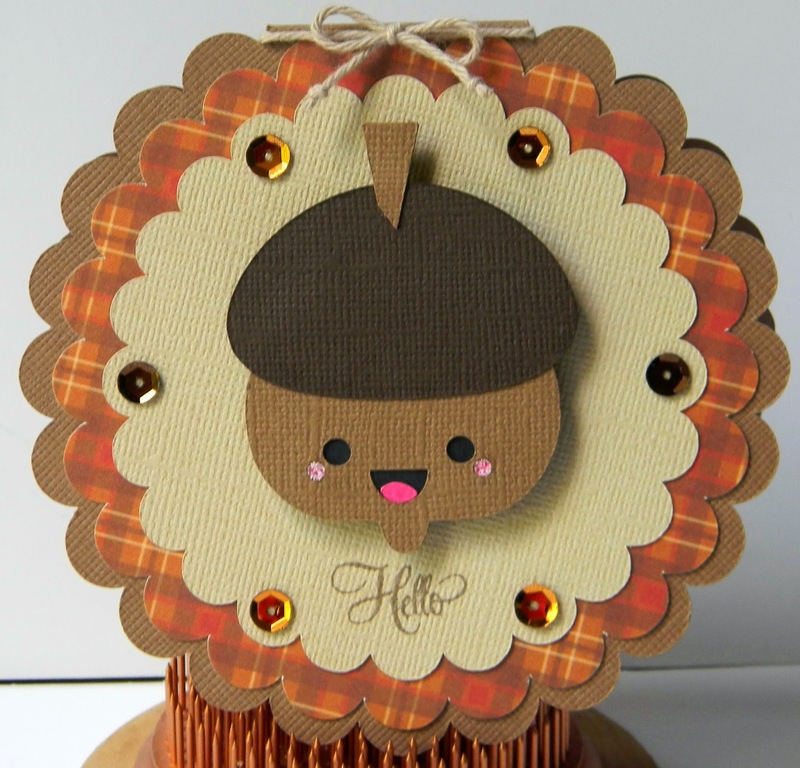 Here's my Acorn Hello card--I am very happy with how it turned out! 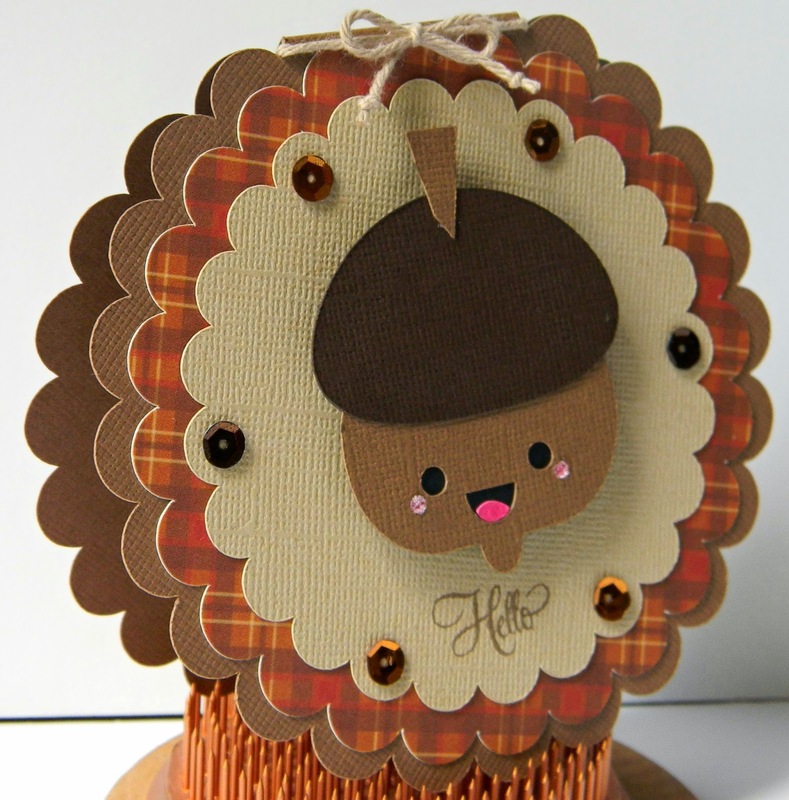 I used a tiny bit of stickles for the cheeks and then pop dotted the acorn on the card. Now that I have the Cricut Explore, I love cutting SVG's! OMGosh! This is totally adorable! That face makes me smile. Wishing You a Great Year with Trendy Twine!